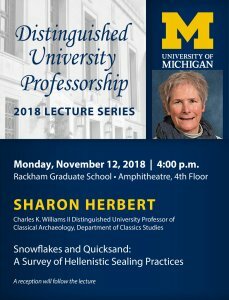 This Distinguished University Professor Lecture covers research on a Hellenistic archive discovered recently by a Michigan excavation team at Kedesh, a Graeco-Phoenician site in northern Israel. The discoveries include thousands of seal impressions from delicately carved personal rings. The Kedesh archive is placed in context with the twenty other excavated Hellenistic archives known. 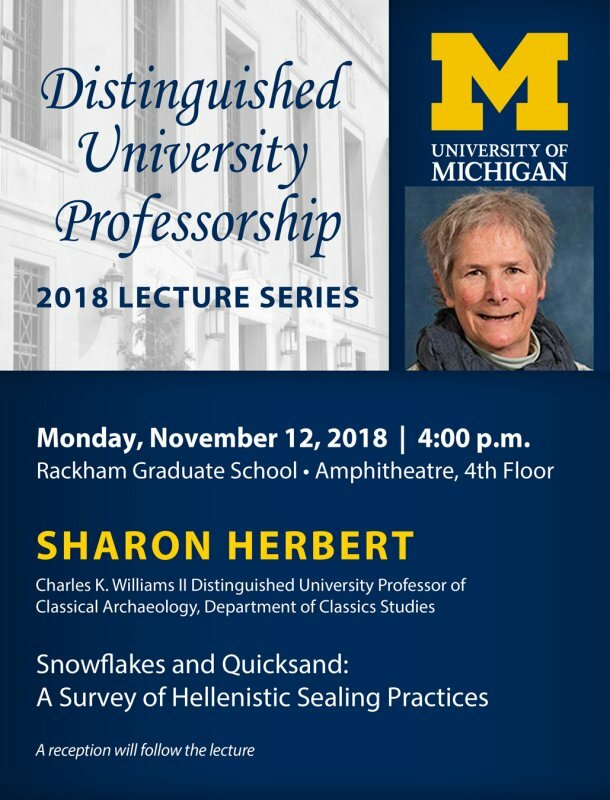 Sharon Herbert is the Charles K. Williams II Distinguished University Professor of Classical Archaeology in the Department of Classics Studies, and the former Director (1997–2013) of the Kelsey Museum of Archaeology. She is a specialist in the Hellenistic Near East, and has (co-)directed excavations at Tel Anafa (1978–86) and Tel Kedesh, Israel (1997–present) and Coptos, Egypt (1987–92).